Life lately... also known as a picture dump from my phone/Instagram over the last 2 weeks. Let's get to it! 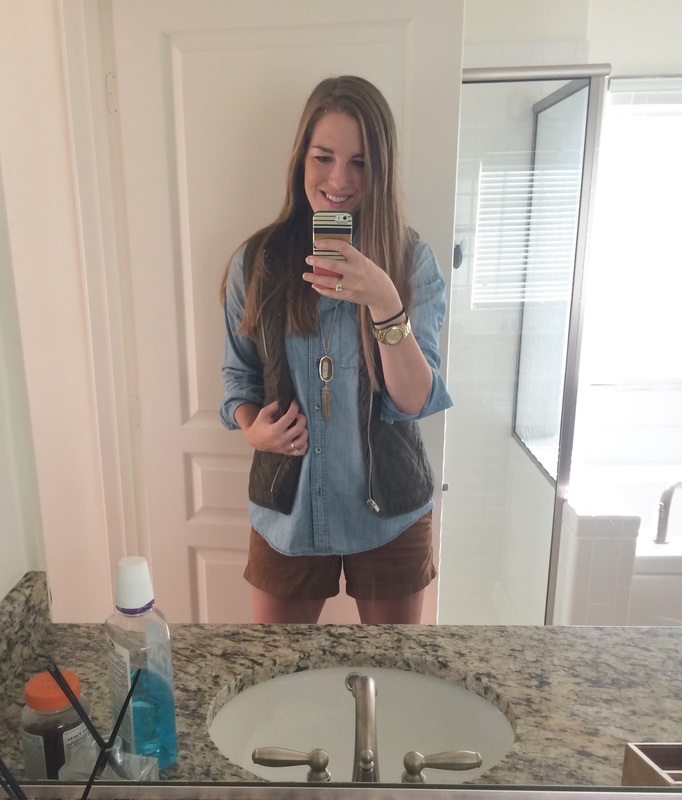 I flew into Texas for the Taylor Swift concert a couple of weekends ago which was beyond amazing. I got to hang out with the family and see TSwift... not too shabby for a weekend! Someone I always look forward to seeing is Sully, the world's largest lap dog and my pupper nephew. 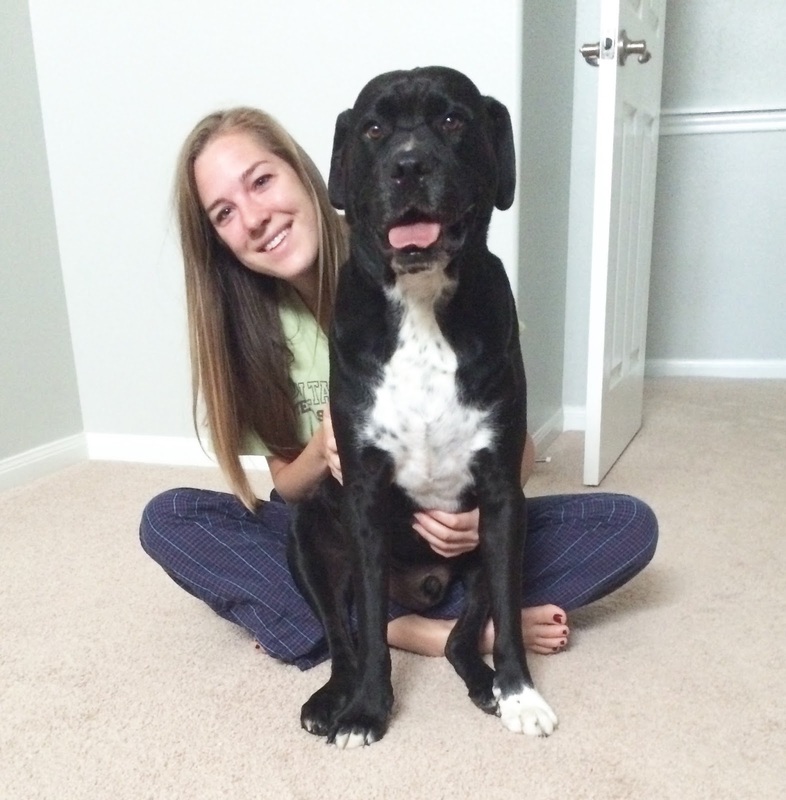 If you sit down, he will back up and sit right on top of you. It's a nice 100 pound surprise. I also got to see my sweet grandparents and stay a night with them over the TSwift weekend. I didn't want to leave! I feel like I grew up in their house, and seeing them twice a year is just not enough. 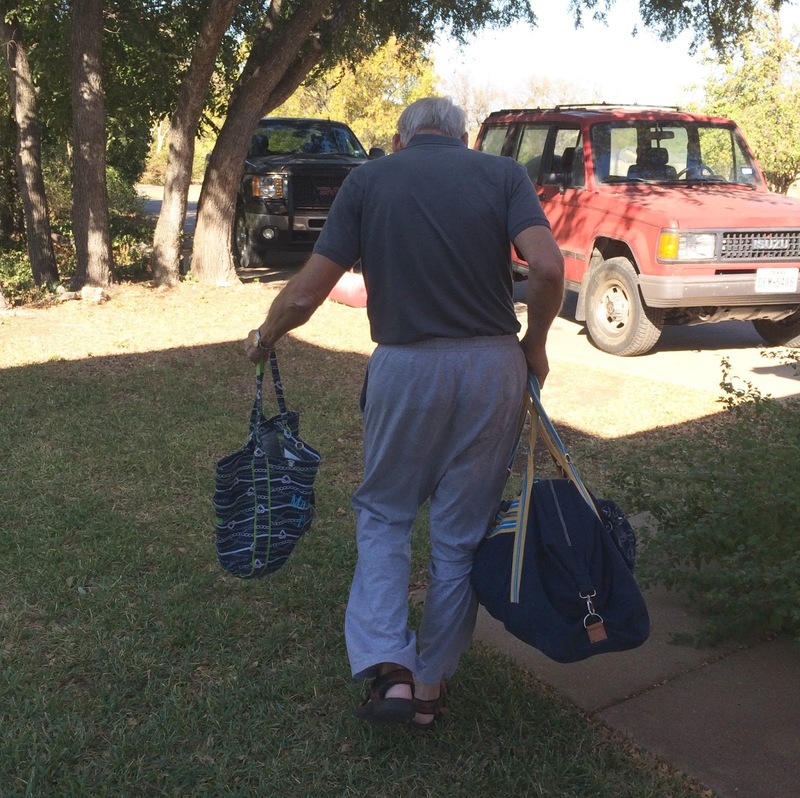 I snapped this picture of my awesome granddaddy carrying my bags to the car. This was right after the "What's in here, bricks?!" comment he made. Love that man! 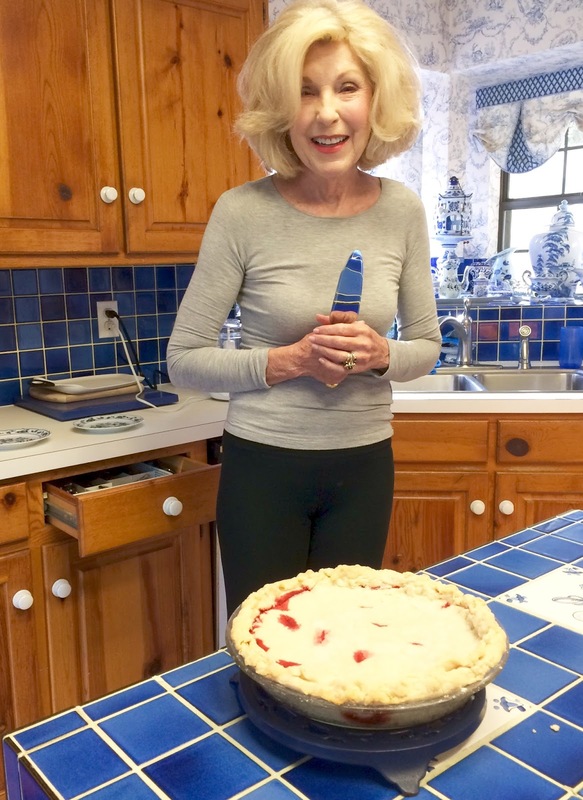 And here's precious Nana with the homemade cherry pie she made us. She makes one for me every time I come home. I learned to cook in this kitchen! I got home from the TSwift concert at midnight Sunday evening, so getting up the next morning for work was not so pleasant. 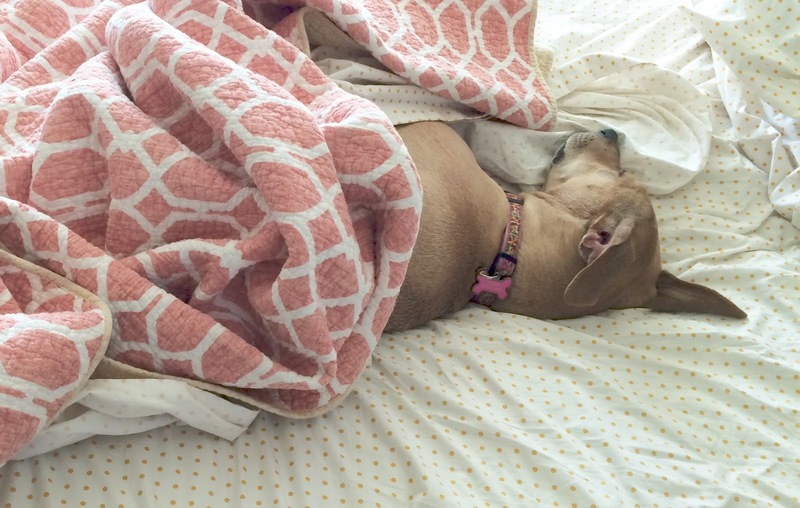 Jenny seemed to think we needed to sleep in too. 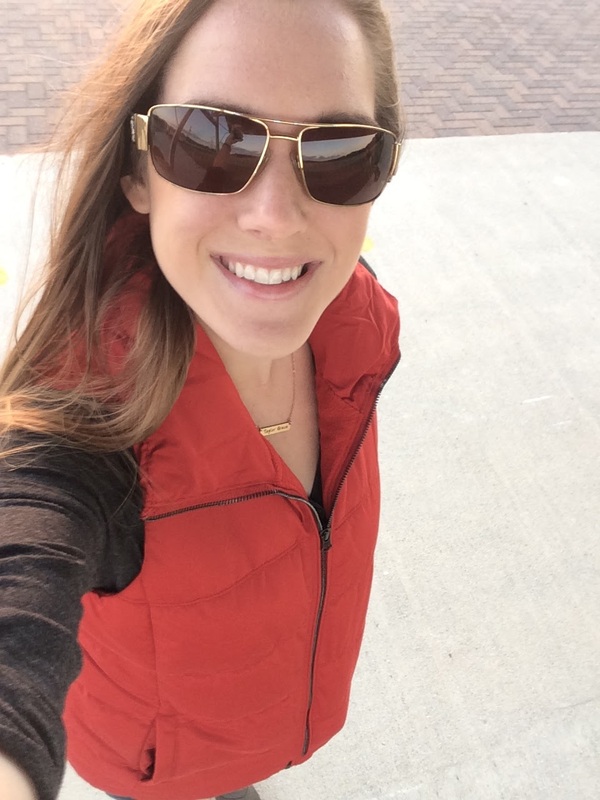 ... And this heavier puffer vest I found at Old Navy. Go getcha one! Old Navy just gets me. 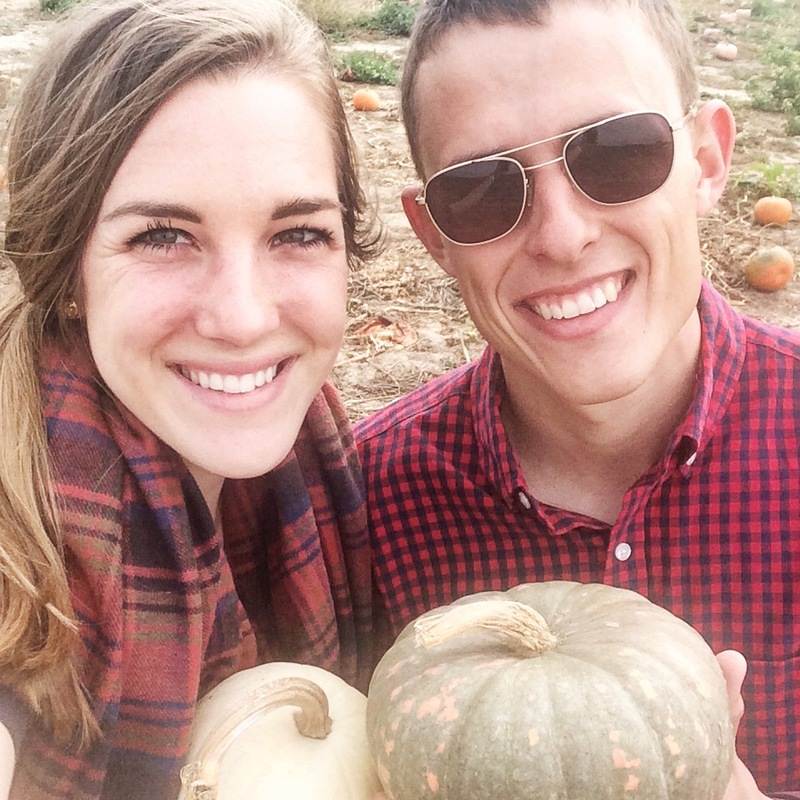 Sunday was our annual trip to the pumpkin patch, and I am still obsessed with our little pumpkins we picked. One can never have too many pumpkins on her porch! We took a family trip to the barber Sunday evening. I was planning on walking around with Jenny outside while Parker got his hair cut, but the nice barber invited us to sit inside. 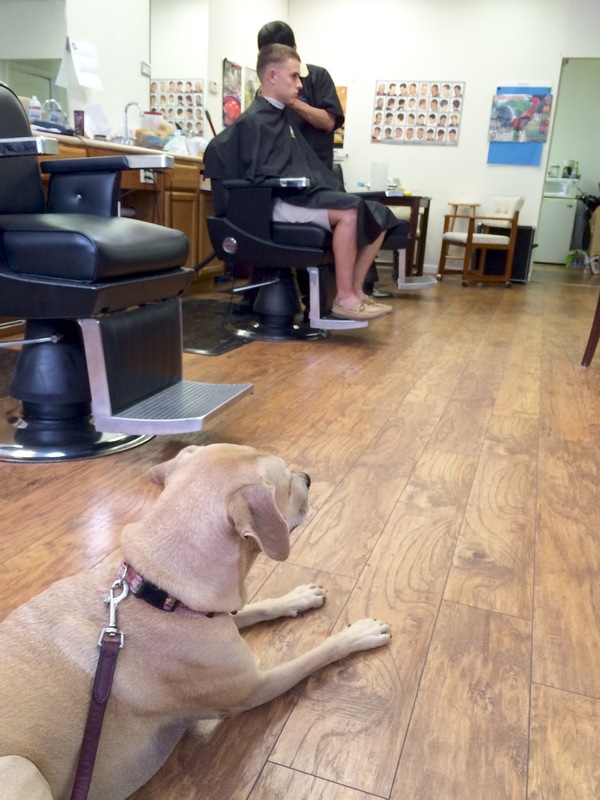 Just a dog watching her human get a haircut! 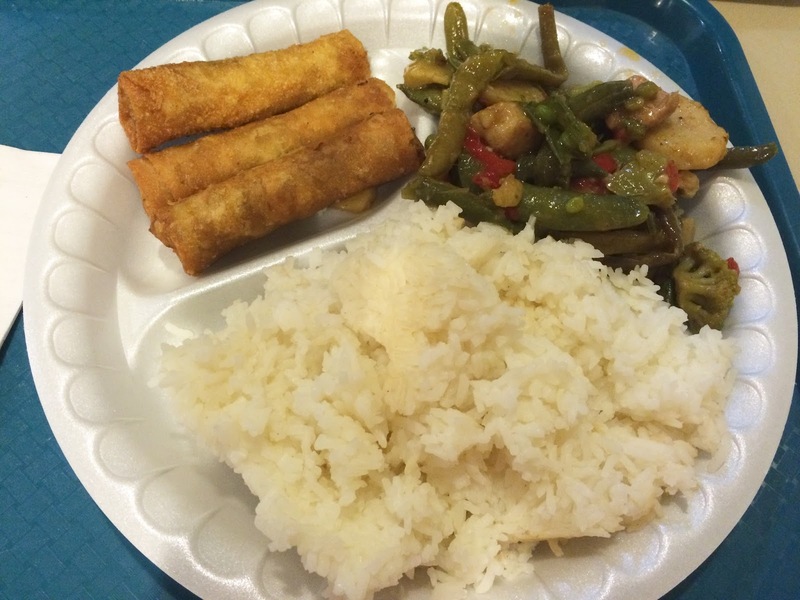 We finished Sunday evening off with trying something new: Filipino food. Side note: does anyone know why it's "Filipino food" with an "F" when "Philippines" is spelled with a "P"? I'm still scratching my head at that one, but I digress. This was my plate. I don't think the nice lady gave me enough rice. #sarcasm #ricefordays. Parker was slightly more adventurous and had fried gizzard. I'll try anything once, but gizzard is something I don't foresee trying again. Not really my thing, but he liked it! 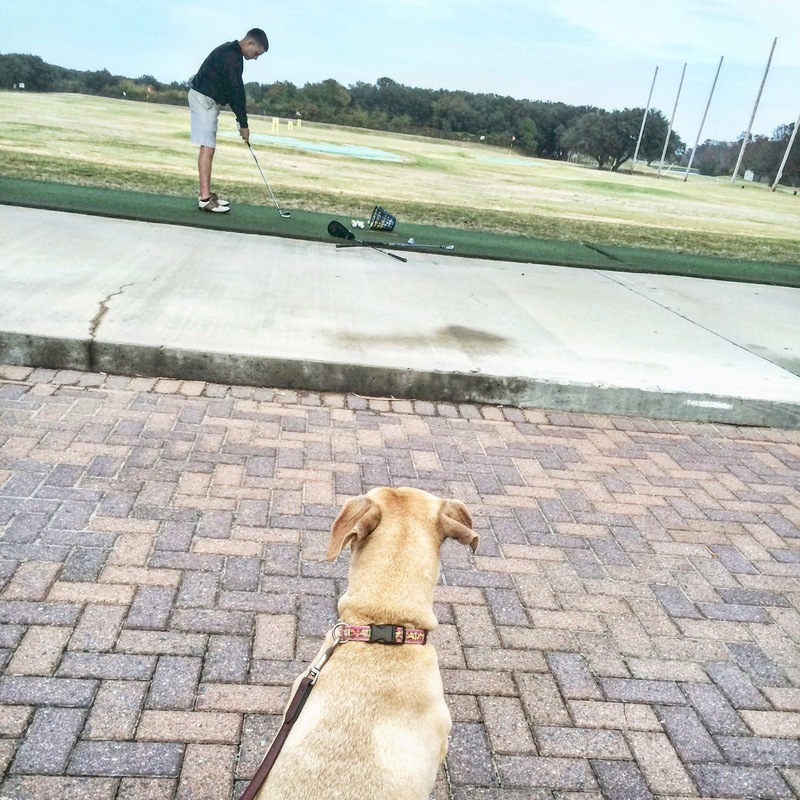 We are enjoying these sweet Fall days as much as we can, and that includes many driving range trips. Jenny loved being included! We love our favorite golf man! OMG! I love your sweet grandparents -- how cute are they?! And also... your grandma is STUNNING! Seriously -- go tell her I said so ;) And Jenny watching Parker get his hair cut is so dang cute! I think the spelling of Filipino is Americanized, because there is no letter F in the Filipino alphabet (according to my parents who are from the Philippines). Over there they prounounce Philippines "Pilipinas" and Filipino "Pilipino." :-) And next time, try pancit! It's Filipino noodles. I'd give you other recommendations but I don't know the names of half the dishes. Lol!